Only Bang remains from their 2019 Spring Split starting lineup. It has been a really tough season for 100 Thieves in the LCS, to say the least. The team has won only one game in the second half of the 2019 Spring Split, meaning Zaqueri “aphromoo” Black and company head into the final week of the season with the worst record in the league. And with nothing to play for, it looks like 100 Thieves is giving some of their Academy League players some playing time on the big stage. 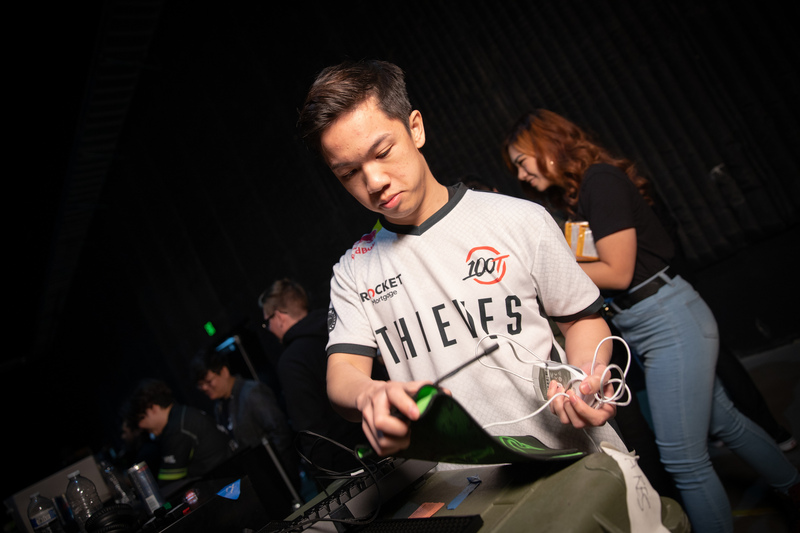 100 Thieves confirmed via Twitter it will be subbing out their entire roster except for bot laner Bae “Bang” Jun-sik, for week nine of the Spring Split. There is a small exception for Max “Soligo” Soong, who was introduced into the main roster at the beginning of March to replace Choi “huhi” Jae-hyun. It is a tough way for 100 Thieves to end the split, as the organization came into the new year with a ton of hype and expectations on their shoulders. In 2018, 100 Thieves was able to accomplish a lot in their first full year in the LCS. In the 2018 Spring Split, the Aphromoo-led roster even secured the first seed in the playoffs while many of the old guard LCS teams struggled. When the team announced the acquisition of Huhi and two-time world champion Bang, many people believed this team had the potential to be a top team in the LCS. Unfortunately, we’ve seen they just haven’t lived up to that potential.